Having arrived in Venice, some individuals of the religious family founded in Siena by the blessed Giovanni Colombini took up their abode first in a house in S. Giustina and then, in 1392, in the edifice we are talking about, the house called “Casa della Compagnia dei Poveri Gesuati”. In 1423, thanks to the alms of the faithful and with the gifts of Francesco Gonzaga, the first Marquess of Mantua, they built a cloister and an oratory dedicated to S. Girolamo. In 1493 they transformed the oratory into a church which, after 30 years of building, was consecrated in 1527 under the name of the Visitation of the Blessed Virgin. 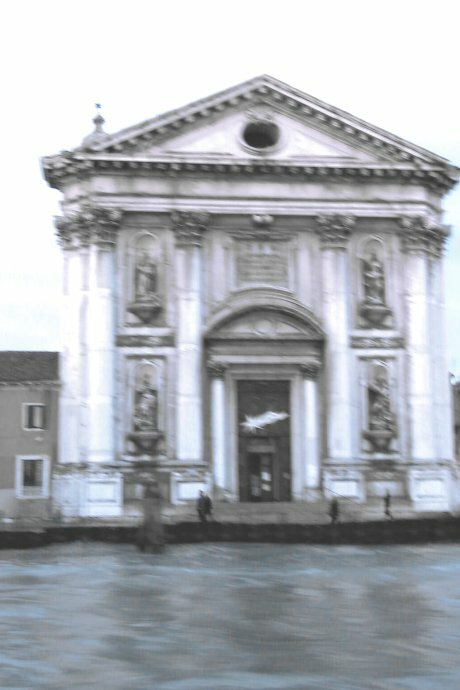 The Gesuati were suppressed in 1668, and their place was taken the following year by the Dominican Fathers of the Observing Congregation of the blessed Giacomo Salomone, and in 1726 the first stone of a new and bigger church was laid a short distance away from the old one. This new church was dedicated to St. Mary of the Rosary, and was finished in 1743, the architect being Massari, and was also called “dei Gesuati”.